Emaar Hospitality Group, the hospitality and leisure subsidiary of Emaar Properties, is offering unrivalled hospitality experiences this summer with competitive rates specially tailored for the season at its three distinctive hotel brands until September 30. The special summer rates can be availed through rewarding hotel stays at Emaar Hospitality Group's premium luxury brand Address Hotels + Resorts, upscale lifestyle Vida Hotels and Resorts, and contemporary midscale Rove Hotels. At both Address Hotels + Resorts and Vida Hotels and Resorts, guests can stay one night for free, for every two nights booked. Awe-inspiring participating hotels include Address Boulevard attached to The Dubai Mall, the world's largest retail destination. For those who cherish waterfront living, Address Dubai Marina is ideal for golfing enthusiasts can head to Address Montgomerie. For a luxurious Arabesque resort, Palace Downtown is the perfect choice. Vida Downtown offers guests style and convenience while Manzil Downtown features authentic designs, complemented by authentic Arabian hospitality. Perfect for the modern traveller, Rove Hotels guarantees a great stay at unbeatable value. Guests can take advantage of rates starting from just Dh198 ($53.8) a night across five properties located around the city. Olivier Harnisch, CEO of Emaar Hospitality Group, said: "Our summer experiences are perfect for families and couples seeking to enjoy the best of Dubai and crave memorable experiences from Emaar Hospitality Group's world-class properties. 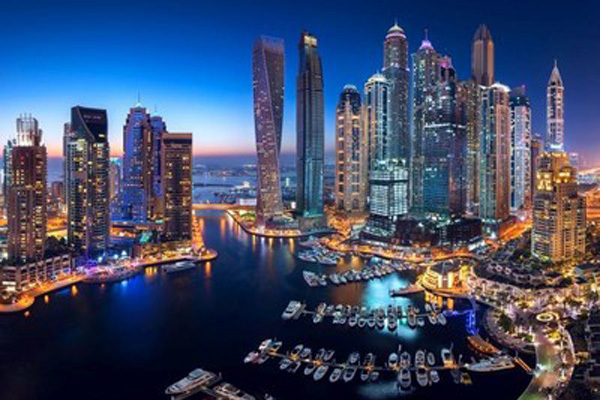 We aim to meet the lifestyle aspirations of both overseas travellers and Dubai-based residents and significantly contribute to the city's globally popular tourism sector during the summer months." For guests staying at Address Hotels + Resorts, Vida Hotels and Resorts, and Rove Hotels, 'Live It Up' offers two packages to accompany any stay exclusively and only available for purchase at the hotel reception of participating Emaar Hospitality Group hotels.